Menu The California Cheeseburger is back, now with Chipotle sauce! 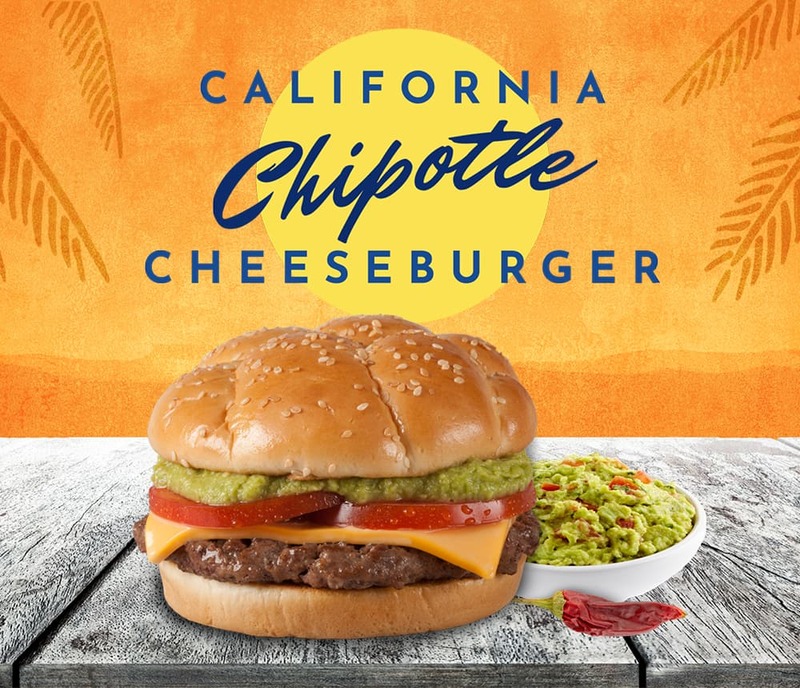 Menus / Specials / The California Cheeseburger is back, now with Chipotle sauce! The California Cheeseburger is back, but this time indefinitely and with a new twist! A delicious 100% pure beef patty topped with a generous dollop of fresh, tangy Guacamole. Add a slice of of real American Cheese and fresh, sliced tomatoes then we top it off with our new Chipotle sauce. It is even served on a fresh bun baked in Braum’s own bakery! Head to the nearest Braum’s to get your hands on this delicious creation. It is also available with grilled or crispy chicken.